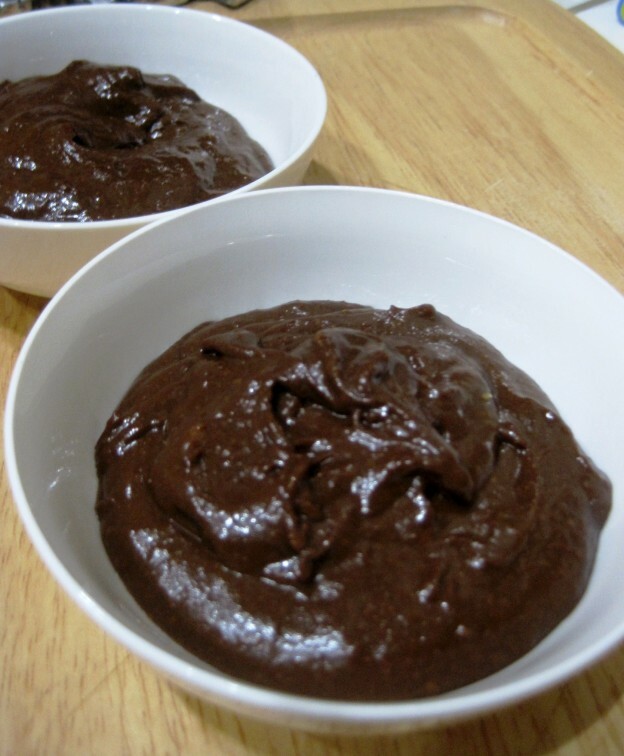 Pudding from sweet potatoes, peanut butter, whey protein & chocolate! If you thought pudding couldn’t be healthy … think again! This recipe has a mashed sweet potato as its basic ingredient. That means you get fiber and other nutrients. Add other healthy ingredients — including peanut butter and whey powder for protein — to convert a simple dessert into a healthy companion for any meal. And when you just want that chocolate pudding taste, you can eat it as a healthy snack . Grab a large cereal bowl and fork mash the sweet potato and stir until smooth, add peanut butter, keep stirring, add vanilla, stevia (to taste), cocoa powder, whey protein and slowly mix until the ingredients start coming together and then speed up mixing until all ingredients are well combined. Add a splash of almond milk if necessary until thick, creamy pudding texture. Divide into 2 small dessert cups, cover with plastic wrap and chill for at least one hour. Enjoy!